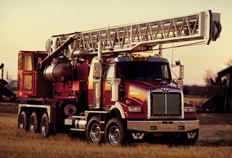 Welcome to Baltimore Freightliner-Western Star’s brand new blog! First thing’s first, let us introduce ourselves and talk a bit about the wide range of services that we provide for all of your trucking needs. Since 1986, Baltimore Freightliner-Western Star has been the Baltimore-Washington metropolitan area’s go-to for quality, reliable service. Whether you are a professional trucking business who has a need for a full inventory or a smaller business owner who only needs a few trucks for your shipping purposes, Baltimore Freightliner-Western Star is here to help. Durable and fuel-efficient, Freightliner trucks have long been at the top of their market. For industries that deal with particularly heavy equipment or products, a Western-Star truck will meet the challenge head on. For smaller-scale operations who need a van either for cargo or passengers, Sprinter is the way to go. We are unlike any other trucking dealership. Because we are so familiar with our products, we know how to properly deal with them when they need maintenance or repair. With our Express Assessment, we guarantee to identify your truck’s issue within two hours of your arrival. Our mechanics stay up-to-date and educated on all of the latest technology and advancements in trucking, so you can be sure that it won’t take long before your truck is fixed and you can be back on the road! Baltimore Freightliner-Western Star also stocks over 26,000 parts necessary for your truck’s performance. With same-day shipping, if you find that you are in need of a specific part, trust Baltimore Freightliner-Western Star to get it to you fast. Need to take your truck in for routine repairs? Our body shop team can take care of all the scratches, dents, and anything else you can throw at them! We can also do custom and professional paint work for your truck.